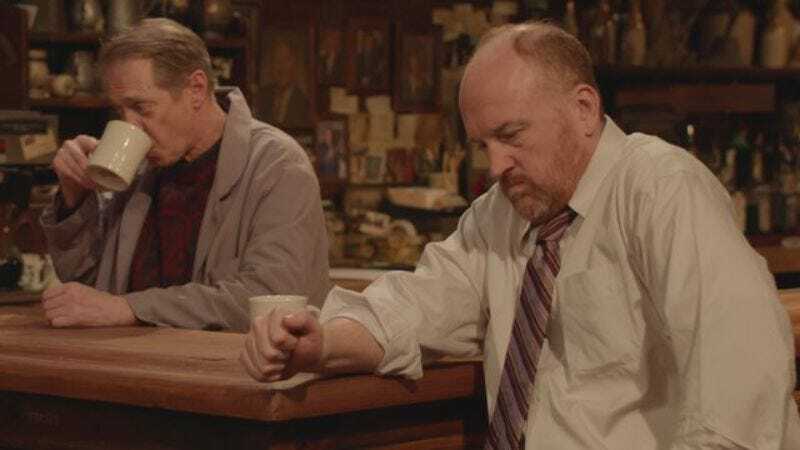 Last Saturday, Louis CK did his Louis CK thing by randomly dropping Horace And Pete, a sort of hourlong anti-Cheers featuring CK, Steve Buscemi, Alan Alda, and assorted celebrity barflies, onto the internet. Little information was given besides that the episode could be purchased for $5 on CK’s website, and that it was “episode one” in a presumed series. Second, although CK’s money-expelling orifice must be quite chapped by now, he’ll also lower the price of the second episode to $2, with subsequent episodes priced at $3. The second episode of Horace And Pete is reportedly filming at this very moment—the multi-camera format and “live feeling” made it quick to edit, CK says—and will be released this coming Saturday. That’s the same day our reviews of the first two episodes will appear here on The A.V. Club’s TV Club. Will the wonders of the internet ever cease?